Let me showcase your products or three dimensional art pieces with beautiful digital photos for your Website, brochures and other print media. I can accurately capture the color and feel of your items while at the same time enhancing their look with special lighting and backgrounds. I only charge for my time regardless of the number of photos taken. 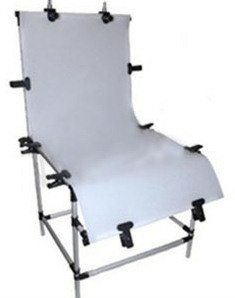 For small objects which can be shot on my opaque white tabletop cyclorama or my larger translucent white Plexiglas shooting table my fee is $160 which includes up to two hours of my time. Any additional time is charged at $25 per half hour. Larger objects that do not fit on my shooting table will cost more. I will give you a quote after discussing specifics of the item(s). If you need absolute white backgrounds as required by Amazon, there is an additional charge of $2 per image. 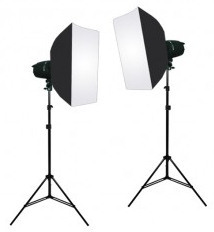 Studio strobe lights or hot lights are used for all product photoshoots. I prefer to do all product shoots at my in-home studio at the address shown below. I charge more for on-site product shoots. I can provide a quote after discussing your specific needs. At the conclusion of the photoshoot we will review the images on-screen and you will be provided the image files on a CD-R or DVD-R disc. Images requiring absolute white backgrounds are provided within 24 hours.